One of the most eagerly awaited names for the car enthusiasts around, Tata Harrier is finally launched by the makers today via a launch ceremony in Mumbai. It starts at a base price of Rs 12.69 lakhs (ex-showroom) and goes all the way to 16.25 lakhs (ex-showroom) for the high-end variant. 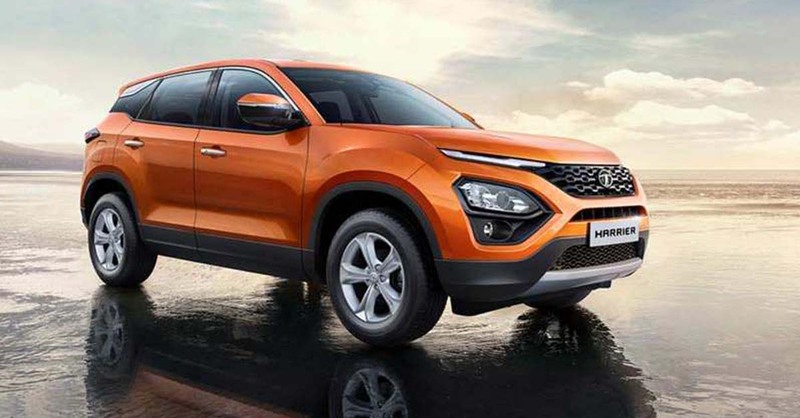 The subcompact SUV is vital to Tata Motor’s aim to create a namesake for itself in the mid-size SUV segment and going by the interest in the market, this is going to create a storm. Tata is set to offer four variants in the Harrier segment as XE, XM, XT and XZ variant with the XE being the base variant. It’s likely to take on the likes of Hyundai Creta, Jeep Compass and the upcoming MG Hector SUV. Based on the OMEGA platform inspired by Land Rover Discovery architecture, this one flaunts a 2.0-liter four-cylinder engine. Here’s us with a snippet of Tata Harrier down below. For a detailed preview, you can read here. It’s based on the Omega platform inspired by the Land Rover’s D8 Architecture and takes in the next-gen Impact 2.0 design philosophy of Tata. It has a 2.0-liter four-cylinder engine yielding power of 138 Bhp and a torque of 350 Nm. The gearbox consists of six-speed manual gear with an automatic edition to be launched soon. Tata had been generally criticized much for its looks and with this Harrier series, they’re about the set the game right. Its radical looks are accompanied with better dimensions and interiors and those in its rivals. It has features like 8.8-inch floating touchscreen paired with the Android Auto and Apple CarPlay. It comes with terrain drive modes, Anti-roll stability, ESP and more.